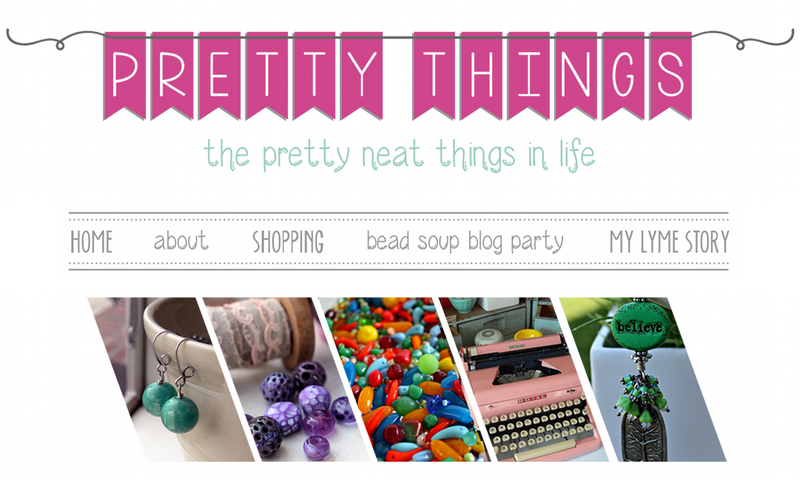 Pretty Things: New Cup of Bead Soup with Lutka and Co.
New Cup of Bead Soup with Lutka and Co.
Well! 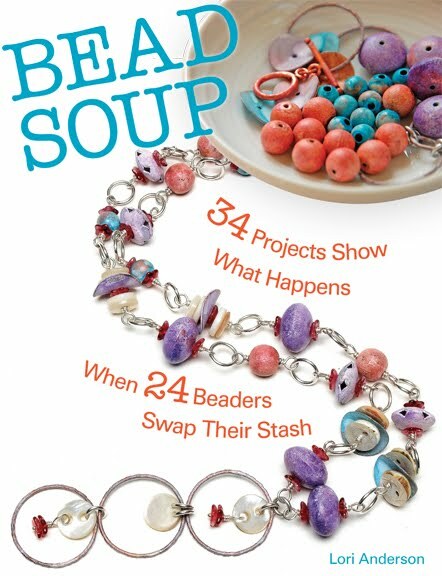 Now that partners have been partnered for the biannual Bead Soup Blog Party, I can get a belated start to August's Cup of Bead Soup project with Lutka and Co. You can read more about the Cup of Bead Soup project by clicking here. photo by Lutka and Co. I already have an idea for the top left beads -- they're nice and large, and if the idea in my brain comes through, I'll be making something really cool, and functional rather than wearable jewelry. If my idea doesn't work, I'm going to be so disappointed with myself! Don't you love the vessel in the bottom left? Like a sweet little perfume bottle. And those purple flowers! I feel like planting them. And finally, the upper left -- those beg to become a charm bracelet. But who knows? You can visit Lutka and Co. by clicking here for their shop and clicking here for their blog. 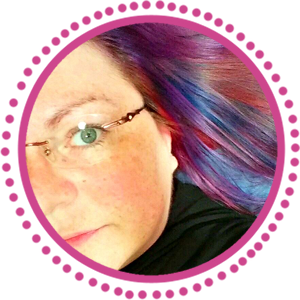 Labels: amazing lampwork beads, beading blogs, beading challenges, cup of bead soup, jewelry blogs, lori anderson, lutka and co. 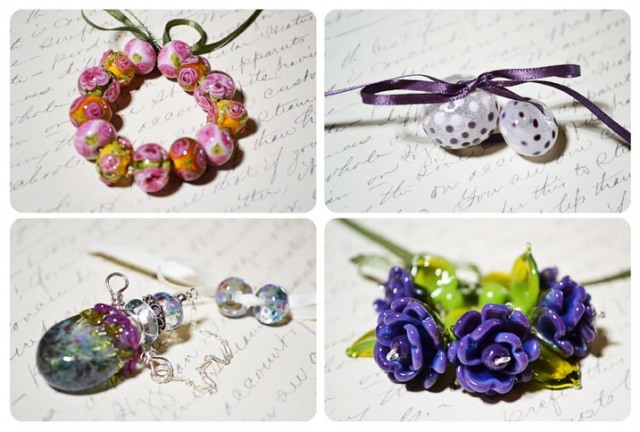 I love lampwork bead too, and I have a large selection to show for it. I tend to hoard them, taking them out to gaze at them from time to time. I guess I should not be so selfish, and actually make something with them for others to enjoy their beauty. I can't wait to see what you make with these! LOVE the purple flowers...beyond amazing!!!! I love the lamp worked glass beads so beautiful. Have fun I know whatever you come up with will be gorgeous. Oh, my heavens, each and every set was more fabulous than the other! The top right beads initially made me gasp (startled my husband), but then I realized I really love the vessel the most. No, the flowers. No, the beautiful pinks...Aw heck, they're all yummy!! Can't wait to see what you turn them into! I too love the flowers, everything else is really great too. Can't wait to see what you do with them. All of them were puurrrty. Linda really does magic. Can't wait for your pieces! All of those beads are really beautiful but the purple and green in bottom right is spot on with my fvourite colour combination. These should be very nice to work with. What beautiful beads, I can never seem to find such nice sculptured ones the flowers are gorgeous. Now I am extremely curious about your big plans for the large ones. 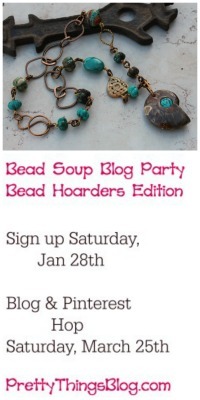 The top left beads would make an awesome beaded purse handle! I LOVE LOVE LOVE THE PURPLE FLOWERS!!!!! Some shots from this weekend's show.